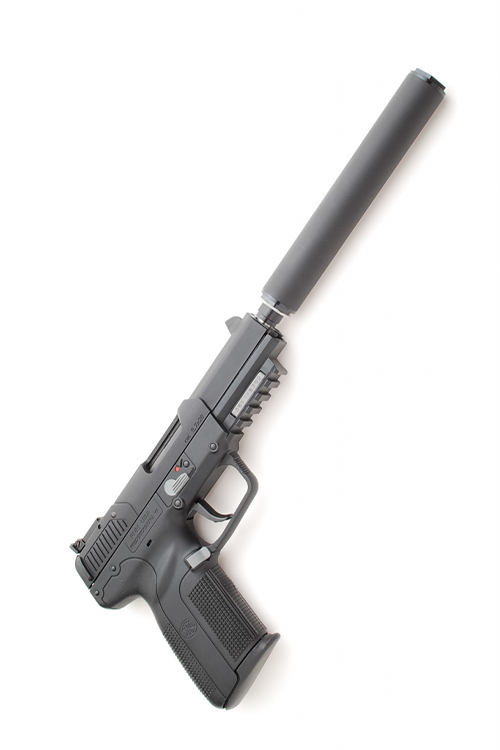 The Bowers Group USS .22 (User Serviceable Suppressor) is rated to 2400 FPS and under. The USS 22 is appropriate for the following calibers 17 HM2, .17 HMR, 22LR, .22 TCM, 22 Magnum FN 5.7x28mm and is rated for fully automatic fire in .22LR. 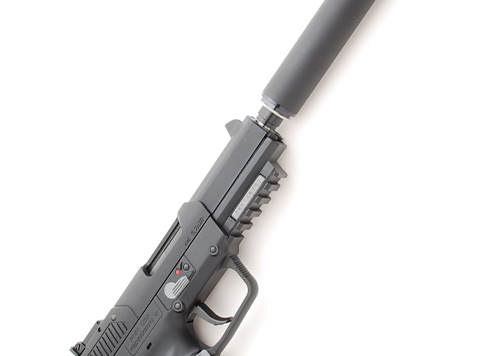 The Bowers Group USS .22 (User Serviceable Suppressor) is suitable for everything from both common .17 rimfires, .22LR, .22 TCM, .22 Magnum and the FN 5.7x28mm and is rated for fully automatic fire in .22LR. The USS is machined from billet alloy steels and comes standard with one included ATAS™ insert of your choice. Switching the thread pitch on this world class silencer is as quick and easy as changing out the insert. The USS is nominally 1” in diameter and 6.4” long and still weighs just under 8 ounces. The tube is finished in matte black and the silencer incorporates a licensed variant of Joe Gaddini’s patented Omega baffle stack. The USS is suitable for heavy fully-automatic fire in .22 and can be disassembled by the user for cleaning if desired. We recommend taking advantage of our service policy instead, but the choice is yours to make. 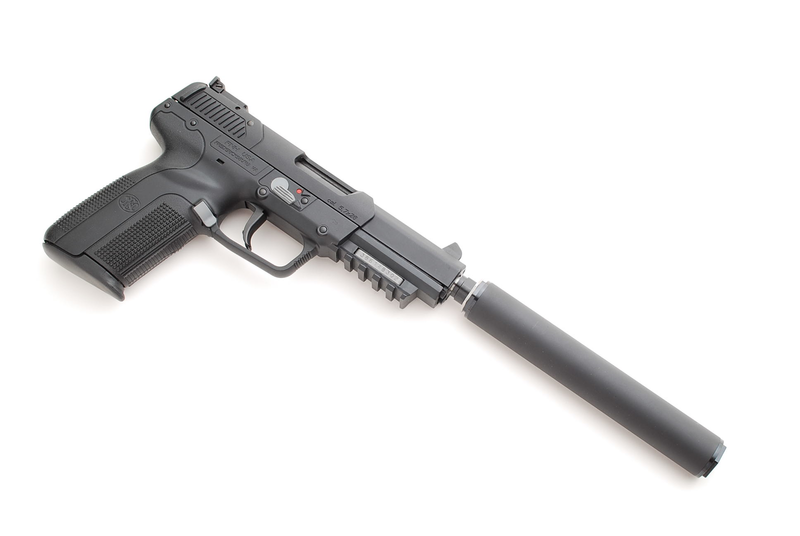 If you make the choice to clean any silencer, please use proper safety protocols to protect yourself and your personal environment from lead contamination, inhalation and absorption. Available separately for factory threaded Five Seven pistols are FN Thread Adapters (M10x1/2×28) by Tornado Technologies for $40 each.